This recipe calls for fresh thyme, parsley, and rosemary. Thyme is healthy for your body in many ways. It boosts your immune system, reduces stress, protects against heart diseases, and has been used to treat chronic coughs as well as respiratory diseases. Parsley is healthy for your body too. Most people are familiar with parsley as a garnish on a plate of food, or for the benefit of good breath. The health benefits of parsley are numerous. It can be used to control diabetes, help reduce inflammation in the joints, boost your immune system, and it aids in fighting osteoporosis due to the calcium content in this magical herb. Last but not least, rosemary is one of the most popular herbs to cook with. It is easy to grow and maintain outdoors throughout all seasons of weather and its health benefits are tremendous. Rosemary not only boosts memory and immunity, but it can also help soothe an upset stomach. It is known to minimize anxiety, stress, and increase blood flow too. 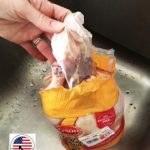 2-Pull out the packet of giblets inside the chicken, then wash the chicken thoroughly. 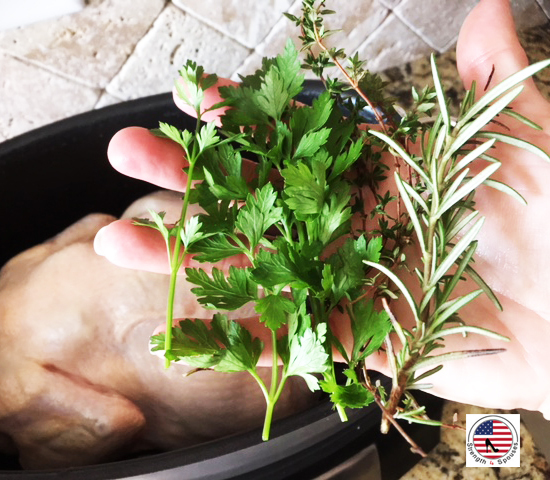 3-Take a handful of the thyme, parsley, and rosemary and put inside of chicken, then place chicken in the crockpot. 4-Pat the top of the chicken with salt, pepper, and paprika. 5-Chop remaining thyme, parsley, and rosemary finely (1/8 cup), and pat into skin of chicken. 6-Add water to the crockpot, filling up halfway. 7-Cook on low for 8-9 hours. This meal serves 4 and costs approximately $18.00 including the side items mentioned below. 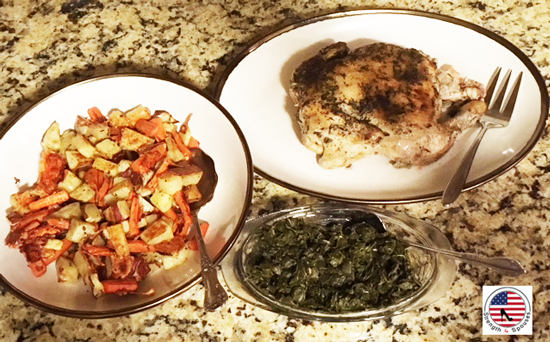 *Crock Pot Herbed Chicken pairs nicely with a side of southern style turnip greens and roasted red potatoes and carrots. This looks so delicious! 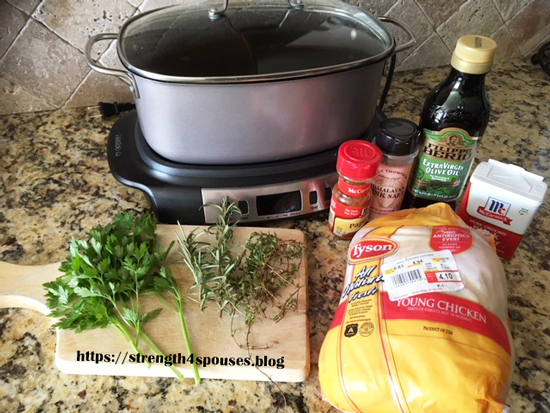 I’m a big fan of using fresh herbs too-they bring so much more flavor to a dish.